Please note our service department has moved to State Road while the building is under construction. The temporary location is 5240 N. State Rd Alma, MI 48801. Engine oil replacement up to 5 qts complete chassis lube, new mopar® oil filter, fluid level, inspect CV joints and front suspension components. Additional charges may apply, including synthetic oil. The customer is responsible for local tax and shop supplies fee. Chrysler Group LLC Vehicles only. 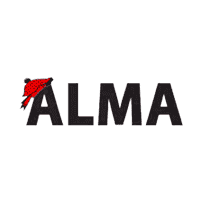 Visit Alma Chrysler Jeep Dodge Ram for details.